Register for this FREE service now and benefit from 24 hour online access to your Annandale Account. 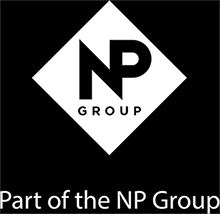 Please note that in order to register for an online account, you will need a verified NP Group credit account and account number. Please click here to download your account application form or contact us for further information. To set up your online account please scroll down. Once this form has been completed and verified, you will receive a confirmation email with your username and password. We want to provide you with the latest and best products for your industry, so please help us by ticking the boxes below (You can tick more than one if applicable). To access your account you will be required to enter your email address, and also a password. Please choose and enter a password (you will able to change this later).